Property: While wielding a rod of absorption, as a reaction when you are attacked by or targeted by a spell, you can use the rod to absorb that spell without harm. The rod can’t absorb spells, such as fireball, that target more than you alone. The rod nullifies the spell’s effect and stores its energy, which a spellcaster can use to fuel his or her own spells. You detect a spell’s level as the rod absorbs it. The amount of energy (spell points) stored in the rod depends on the level of the spell absorbed. As the rod accumulates absorbed spells, you can spend the stored spell points to cast any spell you know and have prepared. To do so, you must take an action and spend a number of spell points equal to the number of spell points the rod would gain by absorbing a spell of that level. For example, an enemy spellcaster targets you with charm person, a 1st-­‐level spell. The rod of absorption nullifies the spell and converts it to 1 spell point. On your next turn, you can use the rod to cast a 1st-­‐level spell by expending the spell point, or you can wait for the rod to absorb more spells so that you can use the stored spell points to cast higher-­‐level spells. A rod of absorption can store up to 20 spell points. A newly found rod has 1d10 spell points stored within it. If you are targeted by a spell whose level would convert to more spell points than the rod has available, it cannot absorb the spell. 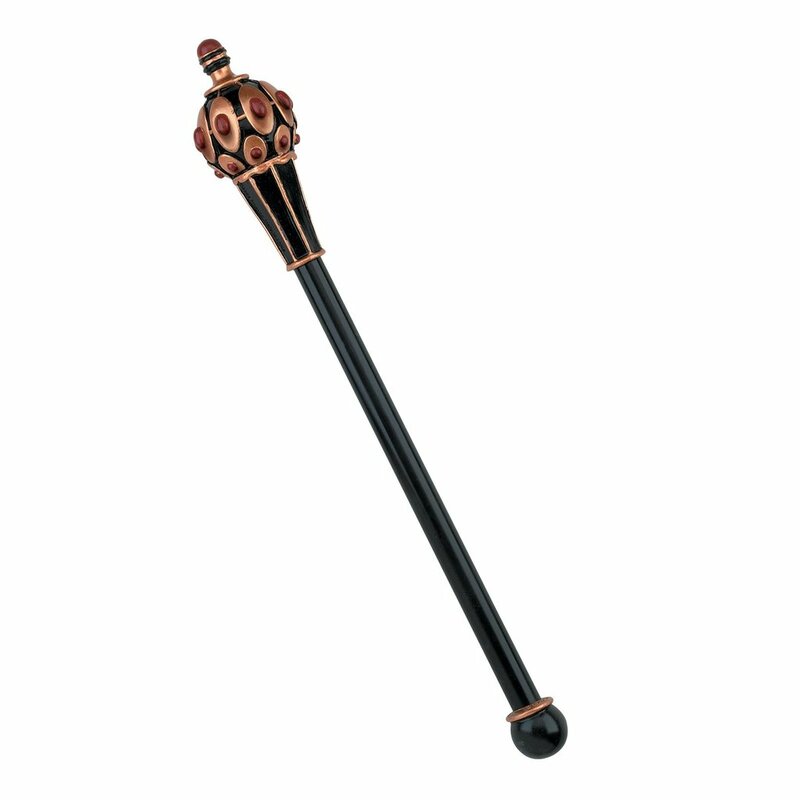 This scepter-­‐like rod is crafted from dark metal. If picked up, the rod vibrates in its wielder’s hand.